Snarky thoughts on libraries, books, T.V., politics, and more. For the uninitiated, check out my FNAQ (frankly never asked questions). Have a question for Alice? Want to tell her how fabulous™ she is? Of course you would. Drop me a line. I’m kind of wandering around here in Wonderland seeing how fabulous you are…will report back after guides perish, we eat our hiking boots, and return to civilization with scientific suppositions. I expect a written report as soon as you get home. Did you bring a camera crew with you like that those guys on Discovery Channel who are “all alone” surviving in the wilderness? I always wonder if Bear gives his crew any of his beetles or smoked snake he cooks. Yes…camera crew…my wife. That’s something that always amazed me about my student’s fascination with “reality” shows. I’ve done TV shows, and know it takes dozens, if not more, people to produce something of that quality. Plus medical staff, cooks, housing…carpenters..agents…lawyers…a whole circle of people standing around…the keyhole image is really the Roman Colisseum. I nominated you for the Shine on Award!! Congratulations!! Hi! Welcome back. If you have a chance, you might check out the Beware Fairies post. It’s a parable of depression. With fairies. With pleasure. I might just do that today. It’s good to be back! Alice, I am SO SO GLAD I’ve found you again. Delighted. I don’t know what happened to you. You just dropped off (that’s OK!) and I clicked on gravatars somethings, thinking they’d lead to you but only led to grav profiles. Sorry to be overenthusiastic, but yes, just glad you’re around 🙂 Noeleen. Glad you found me again too! Wow, thanks, yes I am going to check out your blog for sure. Have you seen the trailers for “Once Upon A Time In Wonderland”? If so, are you as excited as my daughter? I haven’t seen it! I will have to look that up. 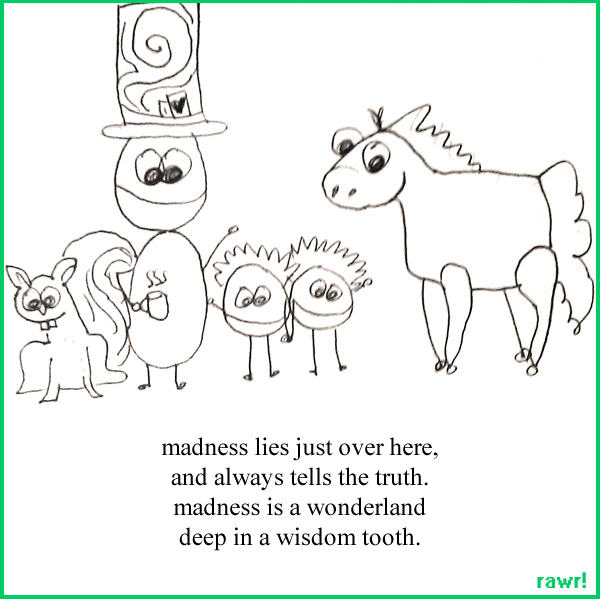 Very happy my random blog surfing brought me to Wonderland. Great job! Glad to be a new follower! Hi Alice! I just nominated you for the brand new Imagine Award – it celebrates creativity and yours is one of the blogs I love for, among other things, its creativity and your imagination. You may or may not wish to accept it, but in any case I’ve “bigged you up” a bit on dralimanonlife! Hiya! 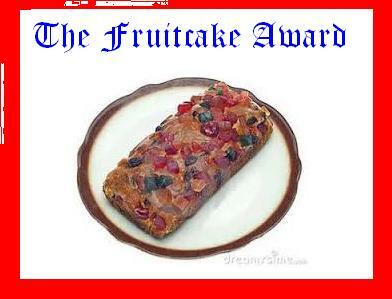 I’ve just nominated you for (another, I think you already have one/two) Blog of the Year award/star thingy. Maybe you will be the first to hit six! Thank you! 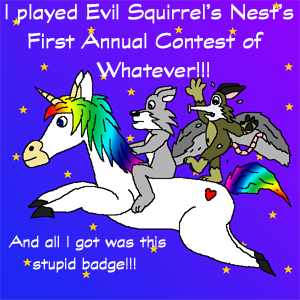 I think I”m going to grab Evil Squirrel’s – his has nuts in place of stars. Haha. Why doesn’t that surprise me? Hello Alice. Twindaddy commanded me to come over here, and I am nothing if not obedient. Plus he says you’re a Star Wars nut, and I am very down with that. Nice to meet you. OK…I swear I had been following you and….no…how? Anyway…dumb follow buttons.